Join us Tuesday, April 30 from 7:30 am-8:30 am at Rasmussen College-905 S. Taylor Street. 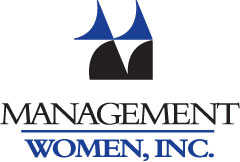 The Management Women, Inc. Lead and Learn series is a monthly opportunity to connect with like-minded women leaders to discuss Ted Talk topics. Jenn Endries, Academic Dean at Rasmussen and current Management Women Vice President, will lead us in a facilitated discussion. Trust is like a marble jar! Do you have marble jar friends? In this Ted talk, we will discuss trust and the importance it plays in everyday leadership. How many of you are better at giving help rather than asking for help? Trust: "Choosing to make something important to you vulnerable to the actions of someone else"
Let’s be BRAVE together and learn about the “BRAVING” acronym and how to incorporate into our daily lives. Continental Breakfast and Coffee will be provided. Please sign up if you plan to attend. Members Exclusive Event.